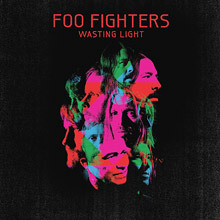 CD Review: Foo Fighters, "Wasting Light"
Do you remember rock ‘n roll? On Foo Fighters’ latest, Wasting Light, the answer is yes. and, fortunately for you, you get nothing less either.
. The biggest nod to a reckoning of the past lies on the song “Back & Forth” featuring a rubbery, descending riff not unlike one found in Nirvana’s “Lithium.” But to relegate the album to the minefields of photocopied old glories overlooks other thrills like the crunchy single “Rope” and the crunchier “White Limo.” Grohl’s time with Queens of the Stone Age, Them Crooked Vultures and his own metal offshoot Probot all inform the heavier sides of the disc. is not a metal or pop-metal effort. Interspersed with the tracks, all of which could never be misconstrued outright as balladry, is the understanding of a ballad. When it is time to sing, Grohl sings. The most prominent example is “I Should Have Known,” which build from the mournful into an angry resolve as he sings, “No, I cannot forgive you yet.” Considering this song is the one with Novoselic and Vig’s combined contribution, I guess there will be a lot said over whether this is Grohl’s statement about Kurt Cobain’s suicide. That might be far too reductionist though. fails to recapture. The new one also stumbles a bit on the track “Dear Rosemary,” for while it features rock hero Bob Mould, it also sounds uncomfortably similar to The Raconteurs’ “Steady As She Goes.” Yet with all the negatives laid out on the table, what remains is still a mighty piece of music, so I’ll take it and be glad. It’s a solid album from America’s last great, plain ol’, no-BS rock band.